It’s hard to believe these spectacular hotel experiences actually exist. But they do. So you owe it to yourself to see them in all their sensational glory. Even more, you can enjoy these spots right here, right now. So take a little tour with us to the most stunning and exclusive destinations around the entire world. 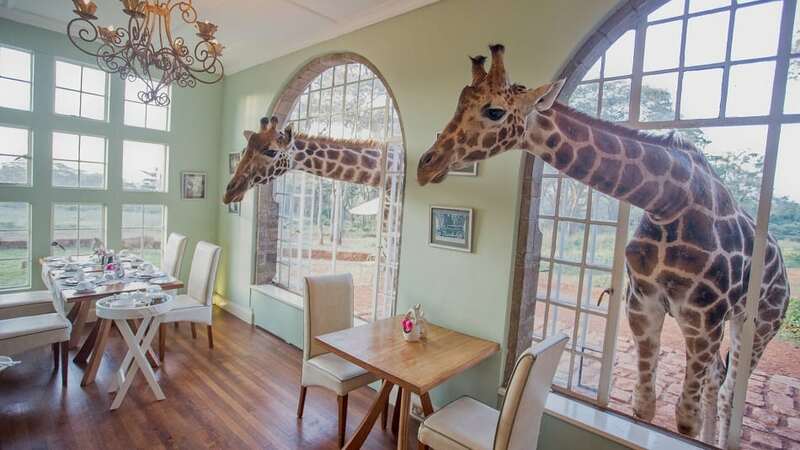 For the most fascinating and unique experience in Kenya, visit the Giraffe Manor. This amazing boutique hotel covers an area of 12 acres and is set amidst an indigenous forest of 140 acres. As its name suggests, Giraffe Manor gives you the opportunity to live near wild giraffes (the hotel is home to a herd of Rothschild’s giraffe). The hotel has a total of 12 rooms. Each room has a unique personality, which is enhanced with eye-catching art deco and elegant furnishings.Walking into Giraffe Manor is like stepping into the movie set of “Out of Africa”. It brings you back to the 1930s with its stately exterior, quiet elegance, beautiful green gardens, sunny terraces and charming courtyards.